CelticFest Mississippi simply wouldn’t be a festival without its vendors! For the festival go-er we want you to have the perfect experience so in addition to the multiple stages of music, dance, workshops, athletics & live animal exhibits, there are a variety of Celtic and specialty item vendors. And if you’re hungry, there are also plenty of food and drink vendors to keep your belly happy! The Celtic Heritage Society booth is where you can get information and purchase CelticFest MS T-shirts, performers CDs and merchandise as well as where you get your Beer Tickets. Our purpose is to provide both an educational and entertaining festival experience. 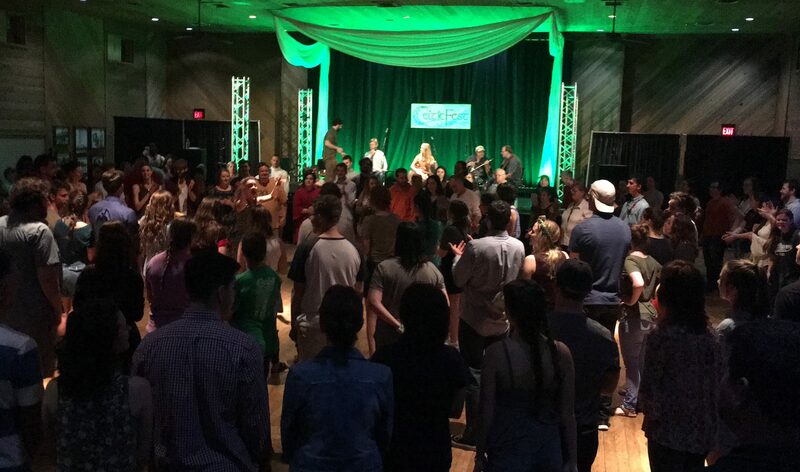 We accomplish this by bringing together national caliber headliners, the best regional Celtic musicians, dancers, artists and athletes as well as quality vendors and special events. We limit the number of vendors carrying similar products because we want you to be successful. We’ve enjoyed consistent growth since our first festival in 1991 and welcome the challenge to continue to expand and improve. 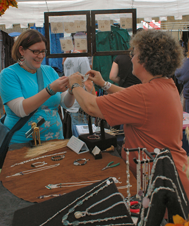 Vendors will be assigned booth locations, all of which are in high traffic areas located outside. Rain or Shine. Security will be provided on the Ag Museum grounds during festival operating hours. Food Truck Vendors- $200 up to 10′ of truck length, $300 10′-14′, $400 up to 20′ of truck length. 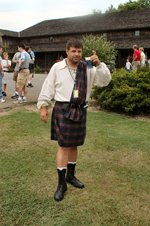 Scottish Clans–Free- Please register by using the form below so we have a place for you. Proof of Liability Insurance is highly encouraged. Reasonably priced single event liability insurance is available from online sources specifically for festival vendors. 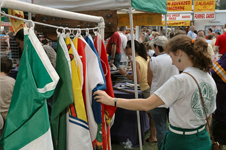 CelticFest MS, The Celtic Heritage Society and The MS Agriculture & Forestry Museum will not be held liable if any festival goer, volunteer or vendor is injured because of your booth or products. Protect yourself! All vendors must make their own provisions for shade or rain and must provide their own seating, extension cords, lighting and tables. Power is available for multiple users. You may begin setup after 8am on Friday or by prior arrangement only. Gates open at 4:30 on Friday. All spaces will be assigned. If you are only coming on Saturday you can gain access at 7am and must be set up by 9:30am. You are welcome to stay on the grounds in a camper but please be advised the gates are locked at midnight and in the event you leave after this time you will not be able to get back on site until 7:00 am the following morning. There are no hookups. A limited number of parking spaces will be available near the main vendor area. Vendors will be allotted those spaces in the order in which they register. Once this area is filled remaining vendors will park in the staff lot behind the Heritage Center Building. A determination of inclusion will be made by the Vendor Committee once all requirements are met. See How to Apply below. If your booth is not selected your fees will be refunded. Thank you for your interest in being a part of CelticFestMS! 1. Fill out our online form below. 2. Email photos of your booth set up and a brief description of what you intend to offer for sale- to celticfestms@gmail.com ATTN: Vendor Photos We use these photos for determination as well as promotion if your booth is selected. 3. Pay Full Registration Fee either by PayPal (“donation” button below) or mail a check. PayPal Preferred. To register as a vendor at CelticFest, please complete the following form. “Celtic Heritage Society PO Box 5166 Jackson, Mississippi 39296-5166“.